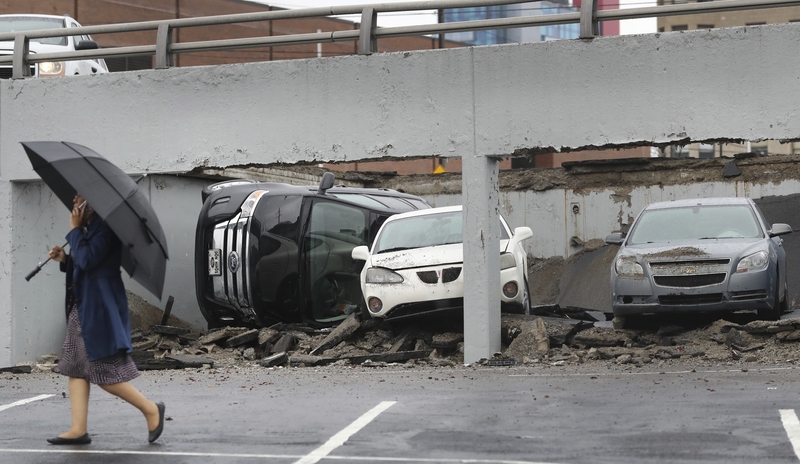 DETROIT (AP) — Part of a Detroit parking deck has collapsed, dropping eight vehicles about 10 feet to the level below. Engineers are assessing the scene before efforts are made to remove the cars and fallen concrete. It is not clear why the deck collapsed.